Would you like to watch the 2018 World Cup on Kodi? In this article, we’ll talk about the addons you can use to watch every match as it happens. The World Cup kicked off on June 14 with host country Russia beating Saudi Arabia 5-0. While this tournament is being heavily covered by TV networks across the world, you don’t need a cable subscription to tune in. Instead, you can watch every game in high definition online or with Kodi. Kodi is a highly customizable media center application that’s free to download. One of the reasons it’s so popular is that it’s extremely customizable; there are addons to fit every purpose and it integrates well with services like Trakt or IMDb. Kodi also boasts exceptional multi-platform support, with dedicated versions for most popular devices including Amazon Fire TV sticks, iPhones, and NVIDIA Shield. Better yet, mobile versions of Kodi maintain most of their functionality, allowing for a more consistent experience across platforms. 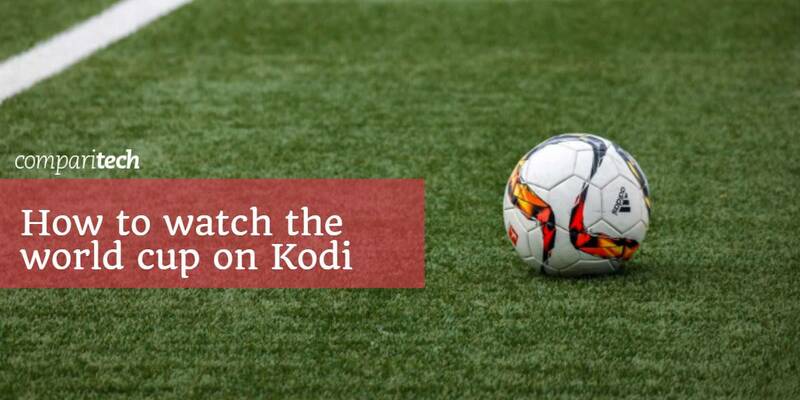 With the right addons, Kodi will allow you to watch the entire 2018 World Cup. It’s important to note that we won’t be suggesting any addons that use unlicensed streams. Because this is to be one of the year’s most publicized events, there will be numerous legitimate ways to watch. As such, there really isn’t any reason to resort to unlicensed, unstable, and unsatisfying streams. Some Kodi users connect to a Virtual Private Network (VPN) in order to conceal unlicensed streaming from their Internet Service Provider (ISP). However, VPNs have many legitimate uses and are a vital tool for protecting your privacy online, even if you only stream from official sources. VPNs encrypt your network traffic and route it through a server in a different location. This prevents your data from being read by anyone, including your ISP or people using Man-in-the-Middle attacks. ISPs have been known to throttling their users’ network speeds if they detect streaming, but if you use a VPN, they won’t be able to tell. Every VPN is different, so it’s important to choose the right one. For instance, some have more of an impact on your network speeds, some keep detailed logs of your activities, and some don’t even encrypt your data at all. Your VPN provider has access to your private information, so it’s vital you choose one that can be trusted. We recommend IPVanish. It’s a fast VPN with hundreds of self-maintained servers spread across more than 50 countries. IPVanish uses 256-bit encryption and doesn’t log any of your activities. Better still, it has dedicated versions for iOS, Android, and the Amazon Fire Stick. Believe it or not, you can actually watch every single World Cup match without cable for free. Best of all, it’s completely legal. Below, we’ll talk about the services that will be streaming the tournament, their Kodi addons, and where you can find them. The BBC offers a huge selection of live and on-demand content via its online streaming platform, the iPlayer. 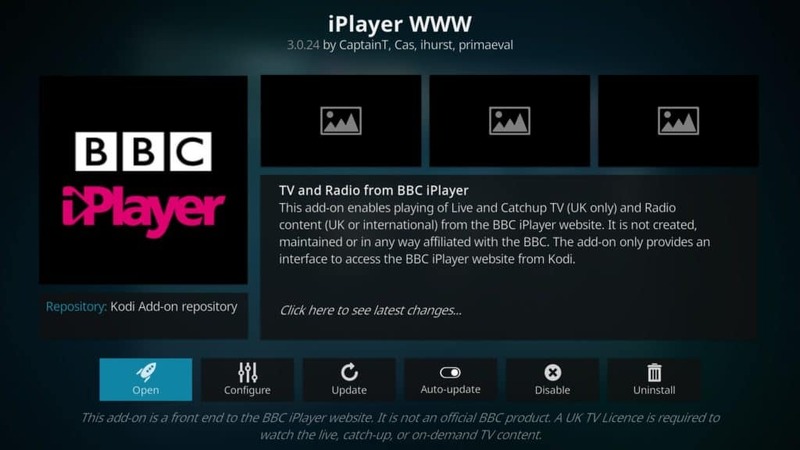 The iPlayer WWW Kodi addon maintains most of its functionality although if you want to use subtitles, you’ll have to download these yourself. All content is available in high-definition and streams load very quickly. This addon is very well-organized. You can search for a specific title or browse through the entire library alphabetically. There are 31 live streams available, however many of these are simply regional variants of the main BBC channels. BBC and ITV have shared rights to show the 2018 World Cup in the UK. As such, around half of the tournament’s games will be streamed live on the iPlayer. The ITV Kodi addon is minimalistic, but that’s not always a bad thing. 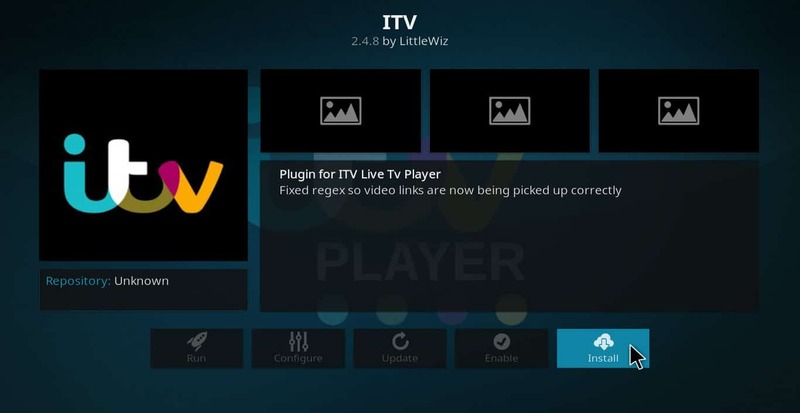 It places the ITV live streams directly on the main page, alongside the name of the currently airing show. This addon is limited to standard definition video, but is the only free way to watch selected World Cup matches in the UK. Users can’t search for a particular show directly, but they can sort titles by genre or view everything that’s available. Besides its name, each show has the number of available episodes, which removes the need to manually check if the latest one has been added to the on-demand library or not. The ITV addon used to be primarily downloaded from the Kodil repo, but that version’s live channels no longer work. An updated, working version can be downloaded from catchup4kodi’s Github. This addon provides access to Fox Sports Go, a service that covers everything from NASCAR to international soccer. Highlights and selected games can be watched from outside of the US, but you’ll have to connect to an American server in order to watch most of what’s available. Fox Sports Go requires a subscription to use. These start at $19.99 a month and come with a seven-day trial period. If your cable or internet TV subscription includes Fox Sports, you can access everything on the online player and Kodi addon at no additional cost. 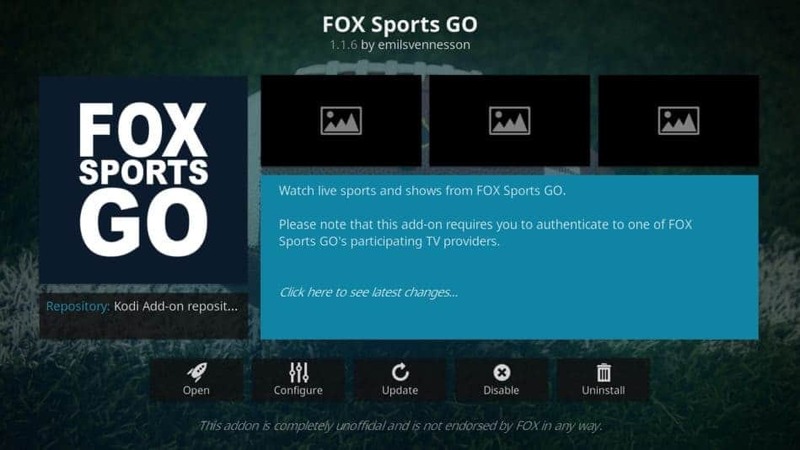 The Fox Sports Go addon can be found in the official Kodi addon repo. NBC Sports provides a wide range of sporting content including live streams of hockey, college basketball, and soccer matches. It should be noted that since World Cup games are technically being broadcast by Telemundo Deportes, the commentary will be in Spanish. Every World Cup game will be available, though. There are currently no details on a World Cup pass, but this will likely be announced in the week preceding the first game. Highlights and replays can be viewed for free, but you’ll have to connect to an American server since NBC’s content is region-locked. 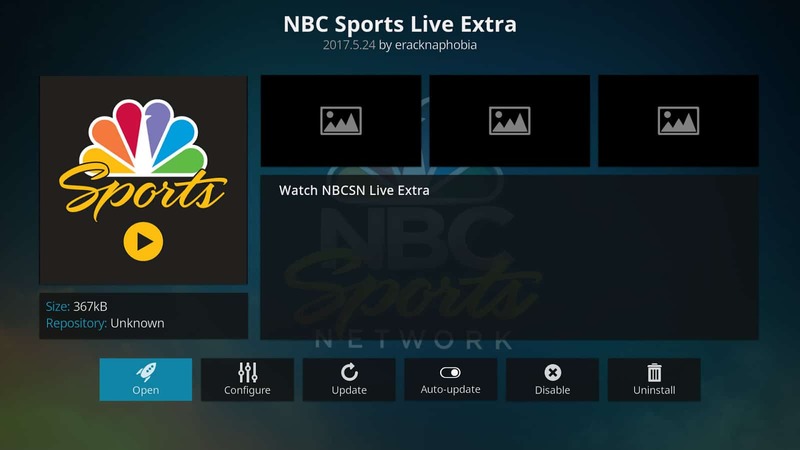 NBC Sports Live Extra can be installed from the official Kodi repository. RTP will be showing eight of the World Cup’s 64 games, with Portuguese commentary, free of charge. The RTP Play Kodi addon is about as simple as they come: it allows the user to choose between eight different RTP channels and watch live. There’s just one option, used for debugging, so no configuration is required. Streams load quickly, although they’re only available in standard definition. You don’t actually need to use a VPN to watch, but we recommend using one anyway for the added security they provide. 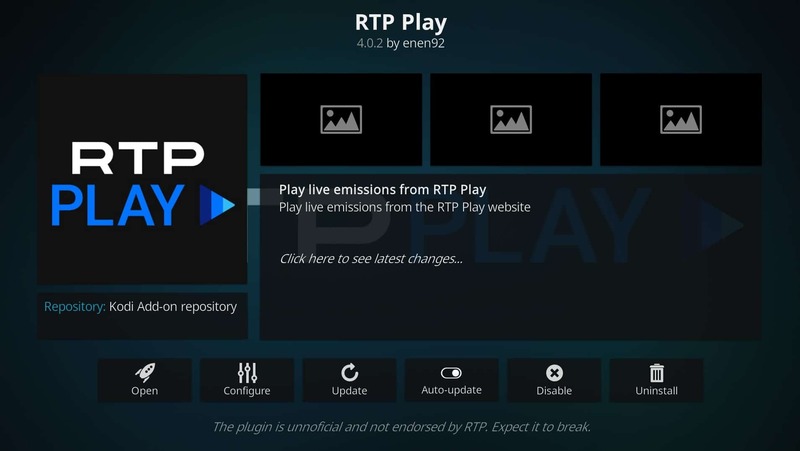 The RTP Play addon is available from the official Kodi repository. SRG Switzerland will be broadcasting every game of the tournament on its SRF, RTS, and RSI channels. You can tune in via Kodi using the official SRF Play TV addon. This addon provides a wide range of on-demand content as well as live streams for SRF 1, SRF zwei, and SRF info. Note that while SRF4 will be showing matches in 4K, this channel isn’t available within the addon. Users can hide certain types of content, enable subtitles, and downgrade to standard definition streams from the configuration menu. 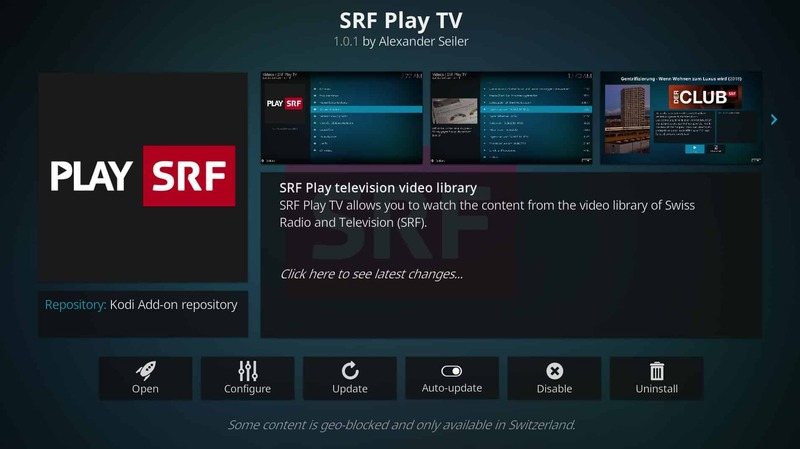 The SRF Play TV addon is located in the Kodi addon repository. SVT will be showing around half of the 2018 World Cup games on SVT1. These can be viewed in Swedish either on TV, online or with the SVT Play Kodi addon. SVT Play has a decent range of on-demand content which can be sorted based on popularity, recency, or title. Its library is strangely organized, however; you don’t select a show and then the episode you’d like to watch. Instead, SVT Play simply lists the show’s name and you have to ascertain for yourself which episode it is. Similarly, you can’t choose to watch SVT1 directly—you have to know what’s currently airing on that channel first. 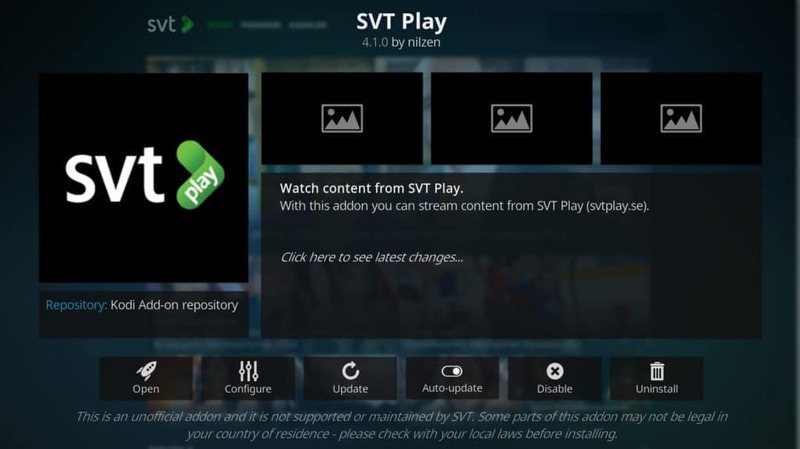 SVT Play can be installed from the official Kodi repo. ORF is showing the entirety of the 2018 World Cup in Austria. You can follow along with the ORF TVthek Kodi addon, which provides live streams for ORF1, ORF2, ORF3, and ORF Sport+. This addon offers a good selection of on-demand content too. Each menu is neatly organized, and content can be filtered by genre. Videos load almost instantly, and there’s an option to lower the quality to standard definition in case your internet speeds aren’t fast enough. 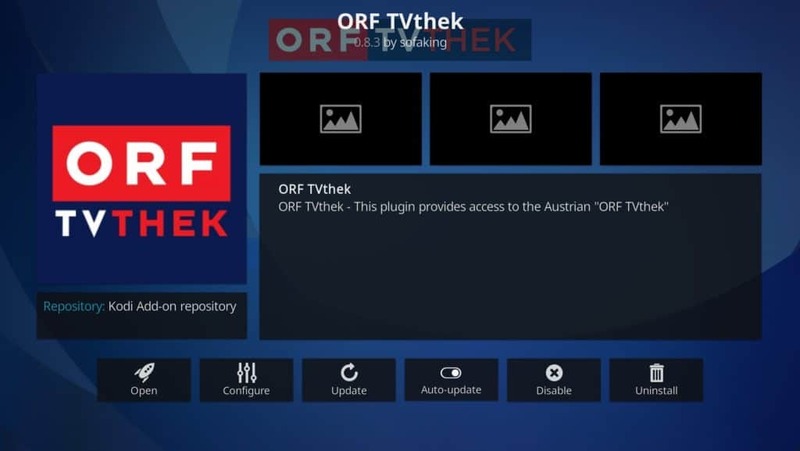 While the latest version of ORF TVthek can be found in the official Kodi repository, some users have reported issues with the live streams. This can be resolved by downgrading to version 0.8.2, available here. You should note, however, that on-demand videos aren’t present in this version. NRK and TV2 have joint World Cup broadcasting rights in Norway. As well as an expansive library of on-demand titles, the NRK Nett-TV addon offers access to all the main NRK channels and over a dozen live radio stations. This addon only has Norwegian folder names, but despite this, it’s easy enough to reach the live stream section. Just click the first option (“Direkte”) and select the channel you’d like to watch. World Cup games are scheduled to be shown on NRK1. 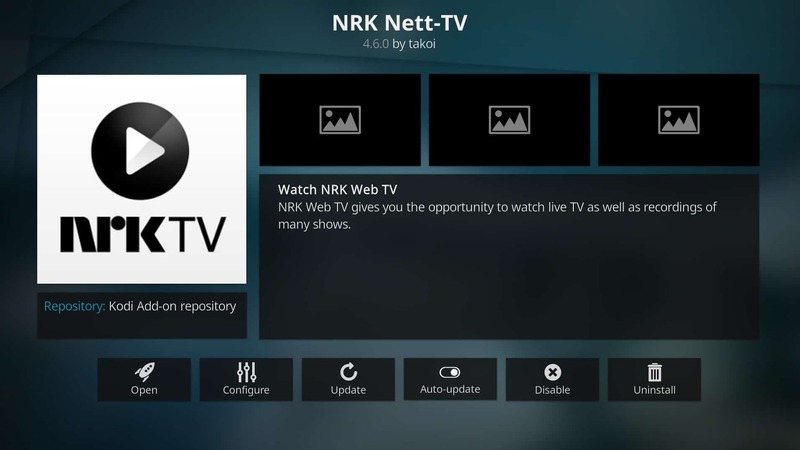 NRK Nett-TV can be found in the official Kodi addon repository. In Germany, ZDF and ARD will both be showing every 2018 World Cup game on their respective streaming platforms. 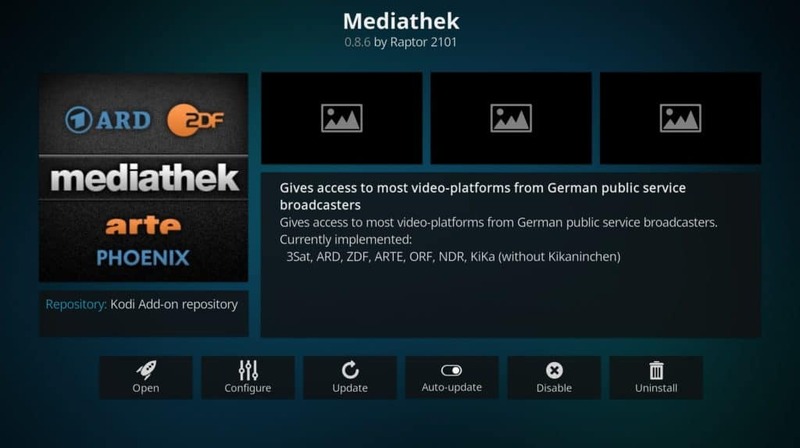 The Mediathek Kodi addon allows you to watch selected content from both networks, although it only has a live stream for ZDF. Users can also watch videos from the ARTE and KiKa networks, but neither of these will be showing live World Cup matches. The addon’s options are minimal, with just a preferred stream type and quality selectors. The Mediathek addon can be installed from the official Kodi repo. DR is one of Denmark’s official 2018 World Cup broadcasters. While they haven’t yet updated their listings to reflect what channel they’ll be showing the matches on, you’ll be able to watch by using the DR TV Kodi addon. It offers six live DR channels, as well as a decent amount of on-demand content. This addon is very user-friendly, with well-organized menus and few changeable options; users can enable subtitles or choose to jump straight to a specific channel when the addon opens. 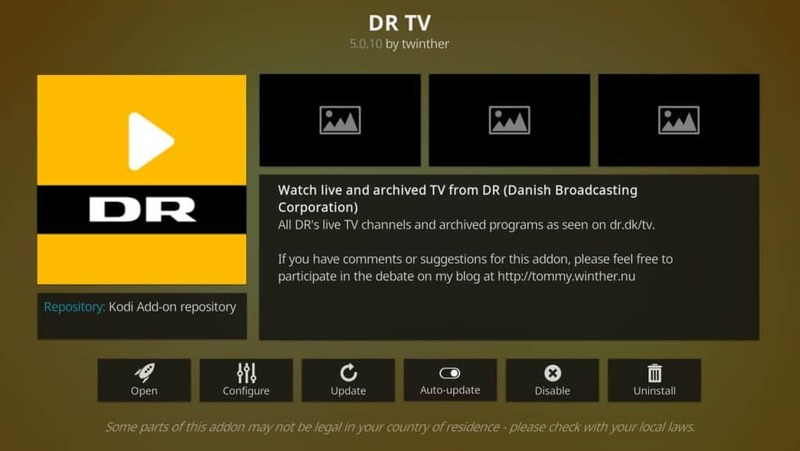 DR TV is located in the official Kodi addon repository. PlayStation Vue is an over-the-top streaming service that starts at $39.99 a month. This basic plan includes both FOX and FS1, making it an easy way to watch the 2018 World Cup. Better still, there’s an official addon named PS Vue, so you can watch all the action with Kodi. This addon can’t be used without a PlayStation Vue subscription, but most plans come with a five-day free trial. It’s important to note that you don’t actually need a PlayStation to use this service. 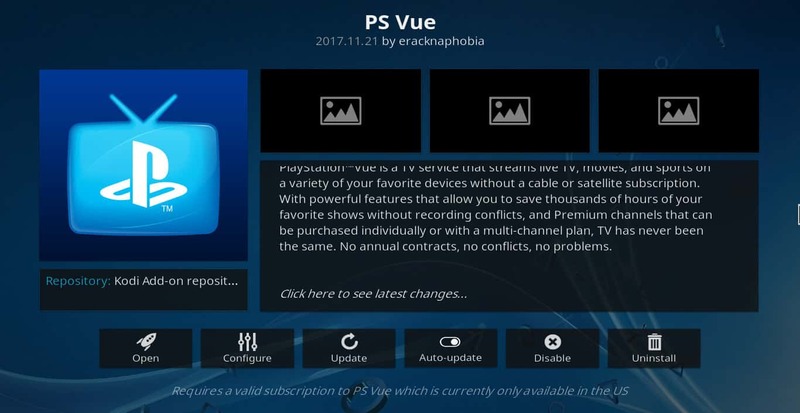 PS Vue can be found in the Kodi addon repository. Sometimes it can be difficult to tell which addons are legitimate. A quick Google search returns dozens of forums and websites recommending unofficial sports addons, and often, these appear innocent enough at first glance. Below, we’ve listed some commonly recommended unofficial addons — not as an endorsement, but to clear up any doubt you might have about their legitimacy. Why should you avoid these addons? First of all, these addons don’t use official sources. This means that the players and organizations involved with the World Cup can’t make money. Considering that some platforms are showing the whole event for free, using unofficial sources only harms the consumer and makes it less likely this will be repeated in the future. While the official broadcasters have the resources and licenses to host this content, third-party services do not, and as a result, can be taken down or overloaded partway through a match. Additionally, these streams are often only available in standard definition. Finally, third-party Kodi addons aren’t created to the same technical standards as official addons. This means that they may feature uncaught vulnerabilities that an attacker could use to compromise your system. For these reasons, we do not recommend installing any of the addons above. While previous World Cups have required cable subscriptions to watch, this one will be made available in several countries across the world for free. However, if you’re landing here before the tournament begins, why not use this time to catch up on your favorite sports, movies, or anime? Having trouble getting started with Kodi? Check out our guides to fixing Kodi’s most common problems, getting subtitles set up, and reducing your buffering times.